Proper preparation of the floor surface before installation is essential. Without a smooth level surface beneath it, any floor will not last or live up to customer expectations. At YS Flooring, our floor preparations include existing surface removal, skin coating applications, patching compound application and debris removal. 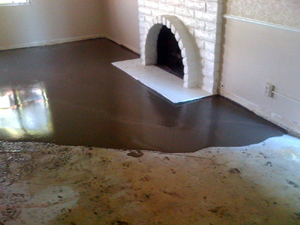 Our process also includes surface priming to ensure good bonding and the application of self-leveling products to prevent the cracks, breaks and deterioration uneven floors are prone to. All these services are performed according to ASTM* specifications by our trained and highly qualified flooring experts. We’re only satisfied when the customer is satisfied. *ASTM (American Society of Testing and Materials) has developed consensus standards for floor covering materials.